The age of the Candidates age should be 30 years as on 31-03-2017. Candidates should have Degree in this Recruitment process they must have passed Graduate of a recognized University with minimum 45% marks and adequate knowledge of computer application. candidates have to pay Rs. 600/-payment can be made by using Debit Cards (RuPay/Visa/MasterCard/Maestro), Credit Cards, Internet Banking, IMPS, Cash Cards/ Mobile Wallets. Interested and Eligible candidates can apply online thrpugh the website www.svcbank.com in on or before 07-03-2017. The age of the Candidates age should be between 30-35 years. Candidates should have Degree in this Recruitment process they must have passed Civil Engineering/ B.E. Civil, B. Arch, M.Arch, 2 years Diploma (after 12th) for posts in Planning, Development & Facilities Department with relevant experience. Interested and Eligible candidates may submit their application in prescribed format along with a latest passport size photograph to hrms@svcbank.com. Mention “Planning, Development & Facilities or Credit/ Audit” in the subject line of email. 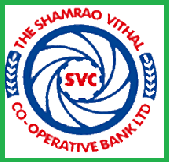 0 Response to "SVC Co-operative Bank Ltd Recruitment 2019 Notification CSR Positions at www.svcbank.com"